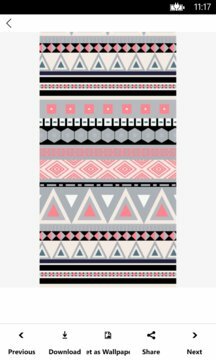 Make your phone a work of art with these cool Aztec print wallpapers! With roots in the ancient culture of the Aztec people who were native to Mexico, this fun and fresh pattern has boldly entered the modern world of art, fashion and design! 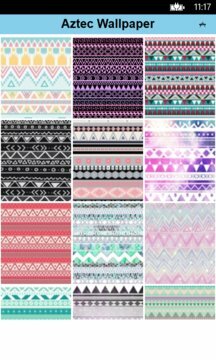 Aztec prints feature bright, exciting colors and bold, geometric designs including stripes, chevrons, triangles and circles. Each pattern is unique, showing different shapes and color combinations. Whether you’re seeking a traditional native color scheme (think tan, red and turquoise) or something modern and bold (think hot pink! ), you'll find lots of background options you'll love. Try the app now to see for yourself!